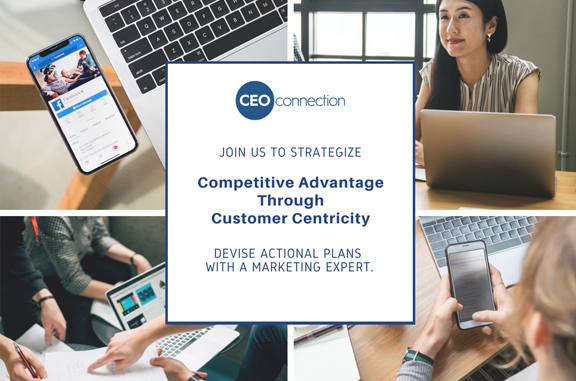 Bring your ideas and take advantage of the world-class marketing expert and other mid-market CEO experiences at the Competitive Advantage Through Customer Centricity breakout session during the 6th Annual Mid-Market Convention. Professor Peter Fader of The Wharton School will lead the session at the convention, September 23-25, 2018, on the Wharton School campus in Philadelphia. He is the author of Customer Centricity: Focus on the Right Customers for Strategic Advantage. Specifically designed by and for mid-market CEOS, the 6th annual CEO Connection Mid-Market Convention brings the leadership of the Mid-Market together with subject matter experts, prominent academics, and senior government officials to help each other and change the world. • Collaborative Breakout Sessions. Led by CEOs from Google, Mathematica, Ben & Jerry’s and other top companies. • Remarkable People. Connect with the CEO of the Year, Young Leader & Social Impact Award Winners, as well as the Most Influential Women of the Mid-Market. • Business Plan Showcase. Connect with groundbreaking entrepreneurs looking for capital to drive innovation within your company. • Board Connection Reception. Interact with corporate, corporate advisory, and nonprofit boards looking for new board members. Limited to 25 CEOs.